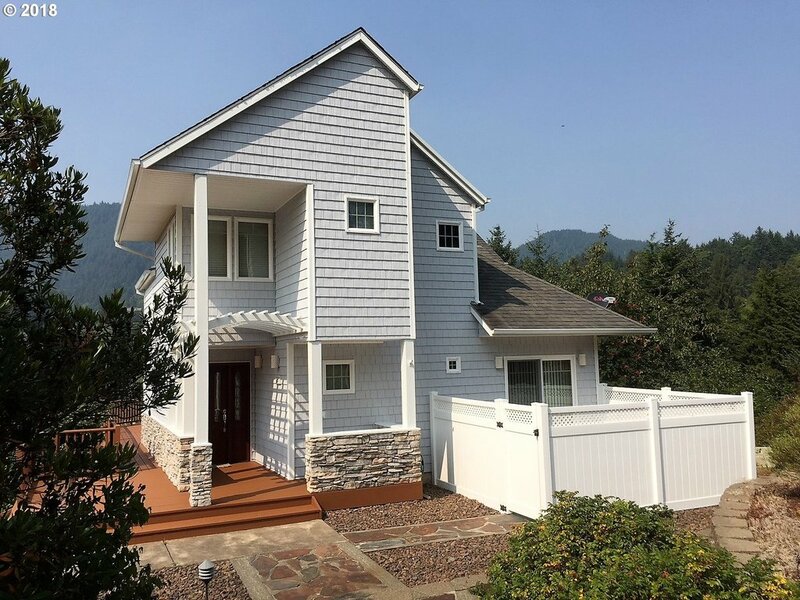 All Manzanita homes currently listed for sale in Manzanita as of 04/19/2019 are shown below. You can change the search criteria at any time by pressing the 'Change Search' button below. 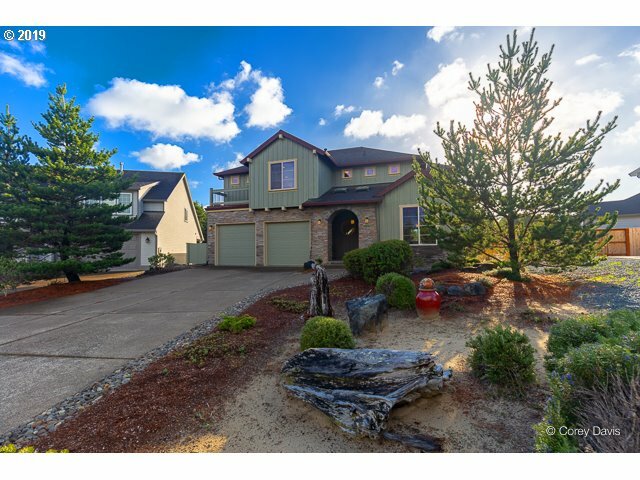 If you have any questions or you would like more information about any Manzanita homes for sale or other Manzanita real estate, please contact us and one of our knowledgeable Manzanita REALTORS® would be pleased to assist you. 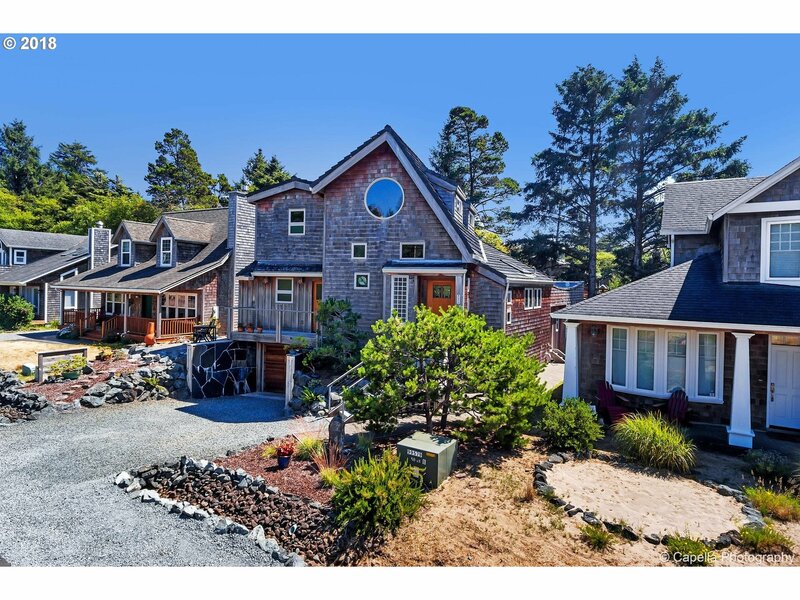 "Rare opportunity, private 7.45 acre Manzanita coast estate with panoramic ocean, bay & mountain views. Private drive. 3 car shop w/240v. 50,000 gal reservoir. City sewer & water. Apple orchard, garden & bee hive. Well above inundation zone @ elev. 200'. Phyllis Brownlee 'Pacific Rim' style. Natural landscape. Without comparison. Potential for several additional home sites in existing R2 zoning. Potential tax benefits via land donation." "Gorgeous unobstructed ocean views from this modern 3,037 sq.ft. 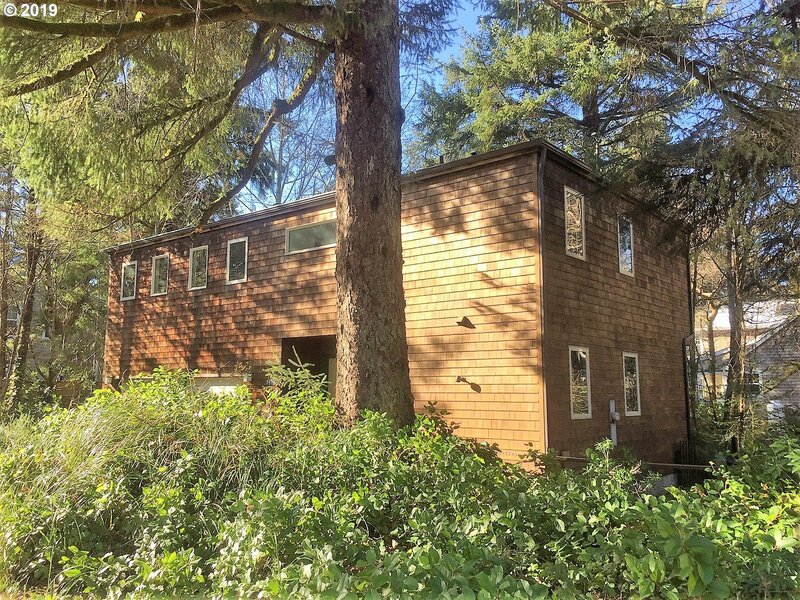 Neakahnie Meadows home north of Manzanita on a secluded bluff with 3 bedrooms incl private master suite encompassing 2nd floor. Concrete floors, soaring ceilings, dark wood & stone accents on open main floor with gourmet kitchen featuring stainless steel backsplash & open shelving. 2 light-filled, main floor bdrms each w/patio access. Outdoor fireplace on covered patio." "Prime Commercial Property in the heart of Manzanita now available. Corner of Laneda and Third. Develop this 9500 sq ft lot with 100 ft Laneda Ave frontage into mixed use, retail or your own business dream. Comes with recently refurbished residence, new roof, flooring and windows. 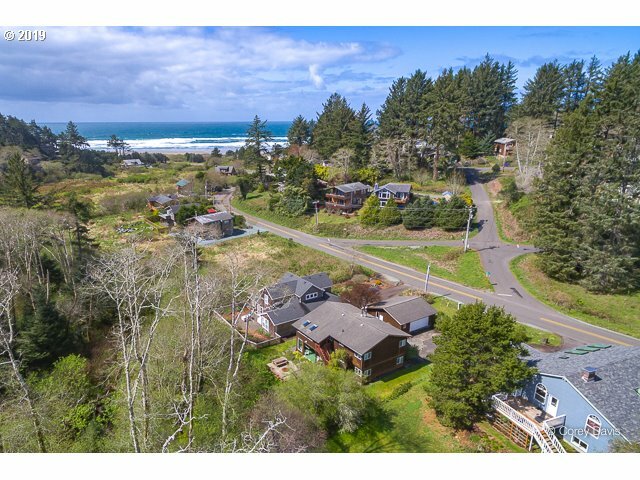 Do your homework, the size and location of this property present a truly unique business opportunity in Manzanita"
"Panoramic ocean and bay views come from nearly every room in this beautiful custom built home sitting high in Neahkahnie Meadow. An open and comfortable floor plan, beautifully appointed with hardwood and tile floors makes for the best of gatherings for family and friends. This is the best." 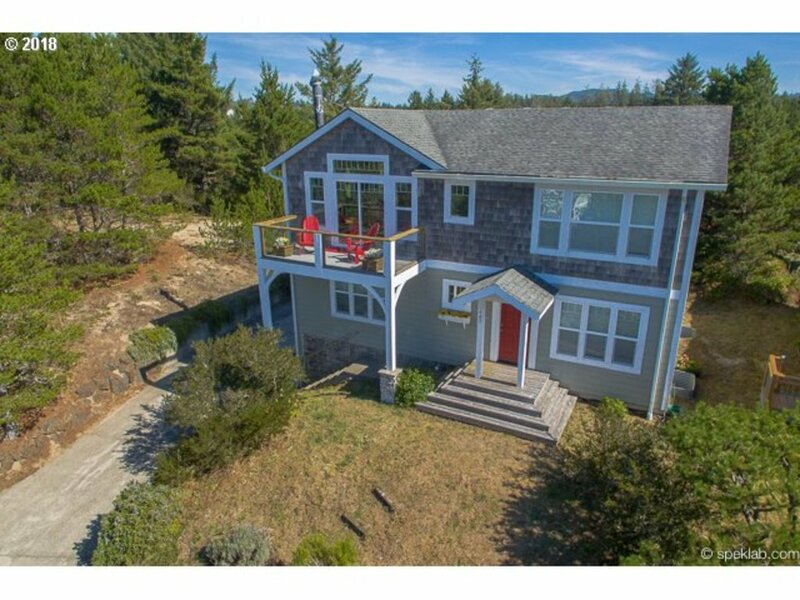 "Large oceanview home in Neahkahnie. Four bedroom, 3 bath in a tranquil, quiet setting on a secluded third of an acre surrounded by forests. Four car garage provides enclosed parking for cars, boats campers and all your beach toys. Multiple decks and a large yard for outdoor enjoyment.Great location for watching sunsets in the western sky. Just a short stroll to the beach." "The Manzanita oceanfront location, close into the village is here and the rest is up to you. Cut cottage to begin your adventures at the beach. Let your surroundings evolve from here.This 3 bedroom 2 bath is ready for your TLC and your imagination. Get started now." "When you come to the beach you want to see the water, hear the surf, taste that salt sea air, then step across the way & get your toes in the sand! You deserve a beautiful interior, hand made tile, open beam vaulted wood lined ceiling, chef's dream kitchen & an ocean facing deck featuring views you can count on into the future. Your beach house should be in top condition w/recent valuable upgrades to all exterior components. This is it!" "Take a walk on the wild side! 200, 220 & 240 Manzanita Ave. 3 addresses of unique Manzanita charm. Bed & Breakfast anyone? A beach cabin with some separate income property attached? Condo conversion? Long rental history. ADA accessibility in newly remodeled 240 building. Peeks of the ocean from the deck. In the heart of the village, a couple blocks to everything. Groovy landscaping. Decks, patios, ponds." "Beautiful home, amazing beach, great community! If you are looking for a well built home look no further. This home includes granite, limestone, stainless steel, 2 masters w/ private decks, heated floors in baths, fireplace, wired sound, bamboo floors, forced air heat, 100 gal propane tank, wood carpeting, re-cycled cotton insulation, Euro-slate roofing, hot water on demand, wine cellar, hemlock ceilings & the list goes on!" 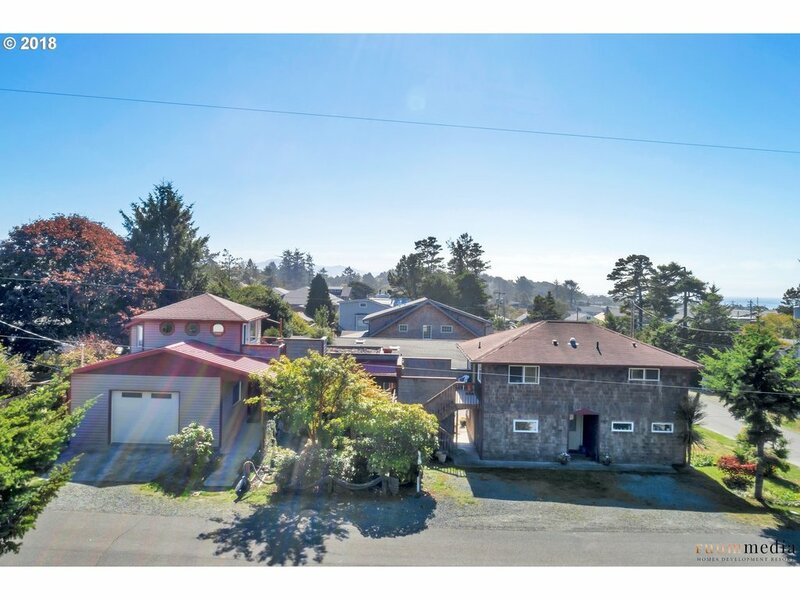 "Does your wish list include: huge ocean views, easy walk to the beach, quiet Neahkahnie neighborhood, out of Tsunami zone, master-on-the-main, excellent condition and move in ready, easy care and beautiful landscaping, plenty of outdoor living area, and generous garage? If so, welcome home! We'll throw in: artesian built fireplace, den/office with lots of built in storage, and tip-top maintenance (original owners). Check out the video!" 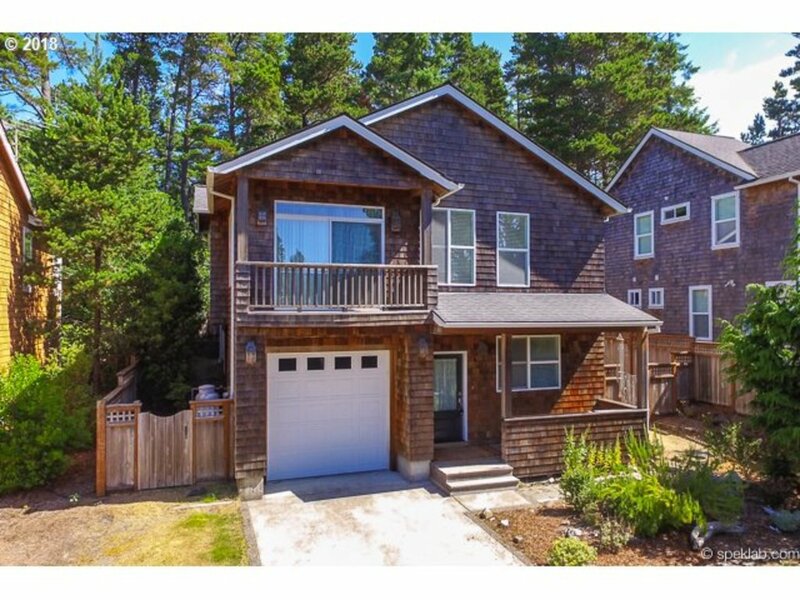 "Enjoy captivating ocean and Neahkahnie Mountain views from this beautiful, three level Manzanita beach home. Just steps to the beach and an easy walk to shopping and restaurants, this home is in a fantastic location! Fenced in back yard, wrap-around deck, quality furnishings, and numerous updates throughout this home--ready for you to begin your fun-filled beach living dream!" "Golf course frontage home on a generous site. Enjoy ocean views to the west and golf and mountain views to the east. Reverse floor plan with decks on either side for excellent indoor-outdoor living flow. Master Suite with jacuzzi tub on main. Three bedrooms, full bath, and den area on lower level. Oversized garage plus large, daylight basement area for game/rumpus room or workshop. Cozy, wood burning fireplace for winter days. See video"
"Striking newer contemporary with big views. 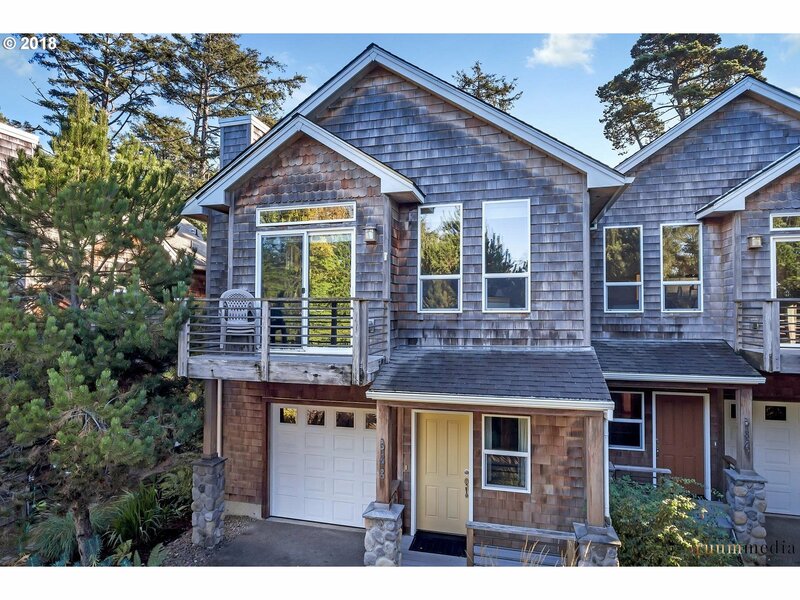 Dramatic vaulted & beamed wood LR ceiling & a north-facing wall of windows frames giant Neahkahnie Mt & ocean views to the west. Savor both from the wrap-around main-level deck. An exquisitely-detailed stairway leads to upper-level office/den, BR & bath. A lower level BR/family room sports a Murphy bed & a door to the outdoor patio seating area, with a propane firepit. Did I mention the sauna?" 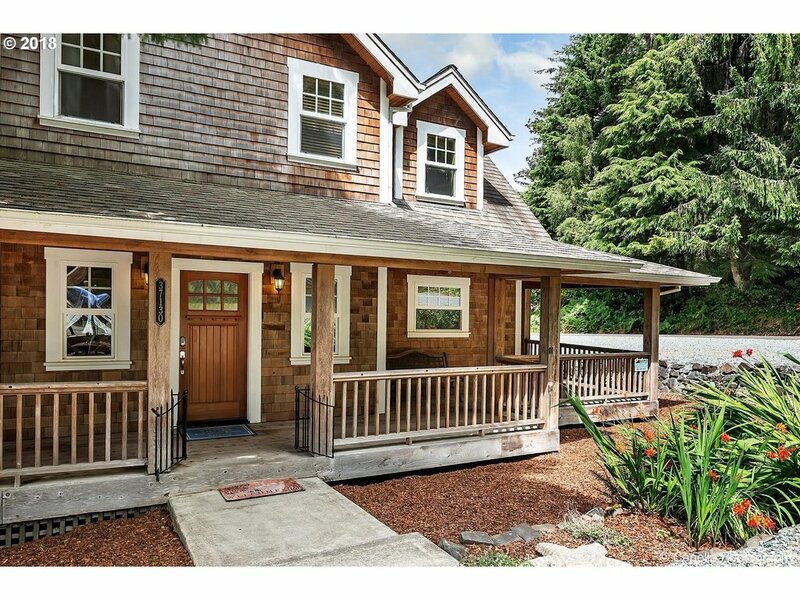 "Welcoming Manzanita home located on a quiet side street, yet easily walkable to town and beach. Big, open kitchen, living, and dining join a generous master suite on the main level, graced with vaulted ceilings and hardwood floors. Covered, spacious deck for dining alfresco above the fully fenced backyard. Over-height garage accommodates a boat, room for RV parking to the side of the house. Neat as a pin and ready to enjoy today!" "Golf Course frontage - Yet easy short walk to both the beach and town amenities. This home has it all! Impeccable coastal property with master bedroom main floor, freshly painted living areas down, 4 bedrooms plus upstairs second living/family room area. Covered open front porch and rear yard patio for golf course viewing plus fire/BarBQue pit. Welcoming neighbors make this location home comfortable as a primary or a vacation home." "Inviting and light-filled making you feeling right at home immediately. 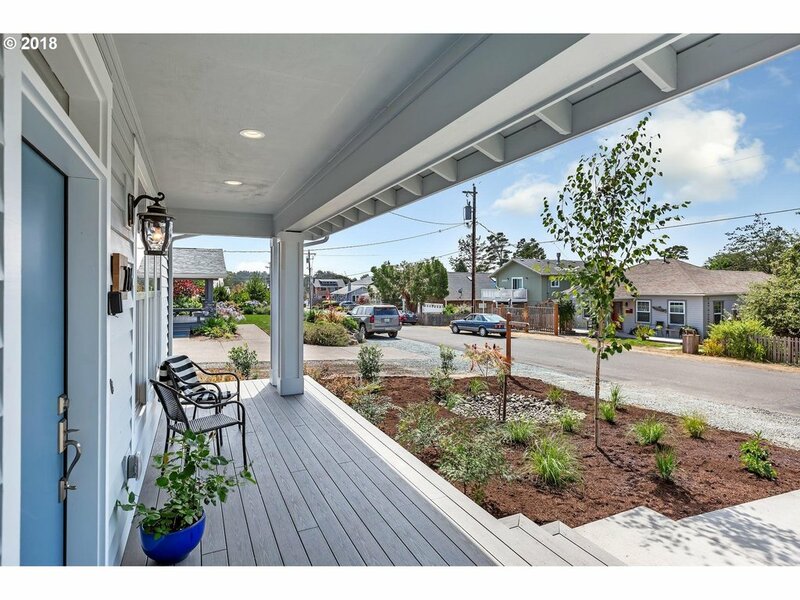 Tastefully finished in a charming beach ensemble of textures & colors that envelop you from the moment you enter this newly constructed 1,751 sf home. Highlights: Master on main, bonus den, toasty warm propane fireplace, stainless steel appliances, soft close cabinets, pantry, laundry rm, 1 car garage & covered front porch. Superb location close to village & Ocean." 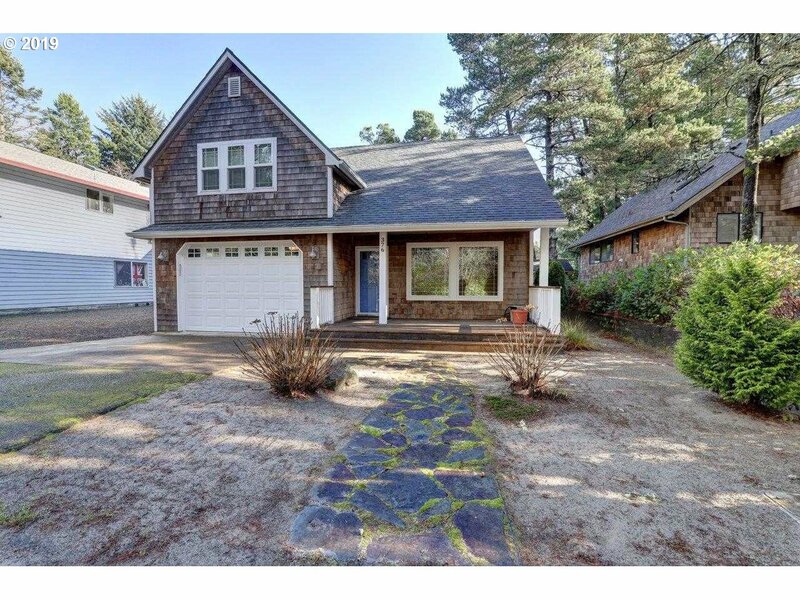 "This 2,034 square foot beach home offers it all: spectacular wrap-around porch, layout with all living on the main, Harry Potter cubby, and an irresistible studio room above the separate garage. All is shipshape and tastefully designed with soaring ceilings and roomy spaces. And the ocean is oh so close. Neahkahnie location means renting the home without wait. 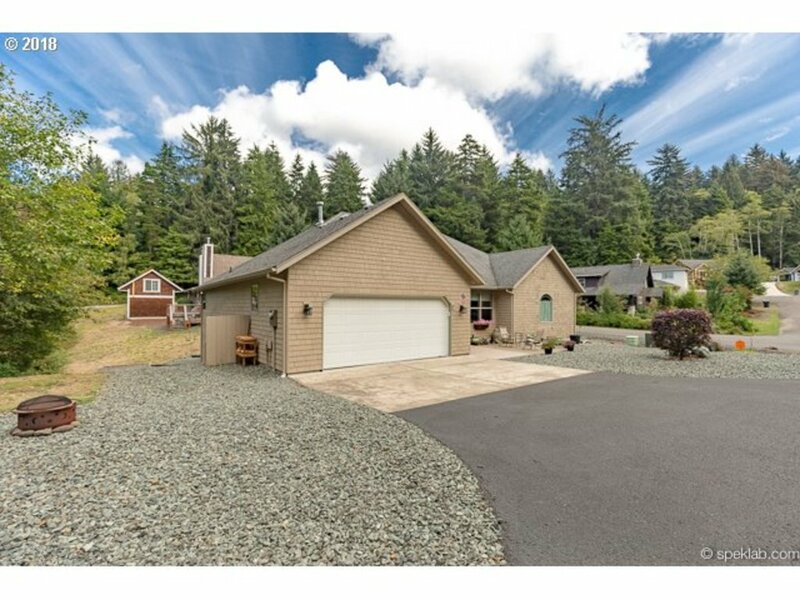 Virtual tour: https://ruummedia.com/t/37130-olive-way-neahkahnie-mls.html"
"Generous Pine Ridge home sited on an extra large, .34 acre lot. South facing living area and extensive outdoor living space adjacent to green space and State Park lands beyond. Deer, elk, and bald eagles provide entertainment while you enjoy morning sun and your first cup of coffee... Lots of extras and thoughtful touches throughout. Fine finishes and high quality construction make this your perfect year 'round or second home. See video"
"Hear the surf and walk to the beach a block away. Short walk to town. Low maintenance ownership, short term rental possibilities. Propane fireplace and cooktop. Multiple decks, private master en suite. Clean and bright, vaulted ceilings throughout main level. Peek at Neahkahnie Mountain from the living room and front deck." "Ocean & Neahkahnie Mtn. view end unit in exceptionally well-maintained townhouse-style complex just a half-block from the beach. Quality materials & construction characterize this building - don't you deserve the best? A residential elevator serves all three floors of this condo, on the highest end of the development. The upper floor master, with a luxurious ensuite bath and sweeping views, is a private aerie. Don't miss this one." "Have you been wanting a charming beach cottage to call your own? This is it! Totally furnished & move in ready. Walk 2 blocks to beach or take the shortcut across the St. 1.5 blocks to village. Beautiful wood floors throughout, wood stove. Spiral staircase leading to private second bedroom with half bath. Separate Studio in private back yard w/extra sleeping and or office. Enjoy the decks and covered front porch.Located on quiet street." 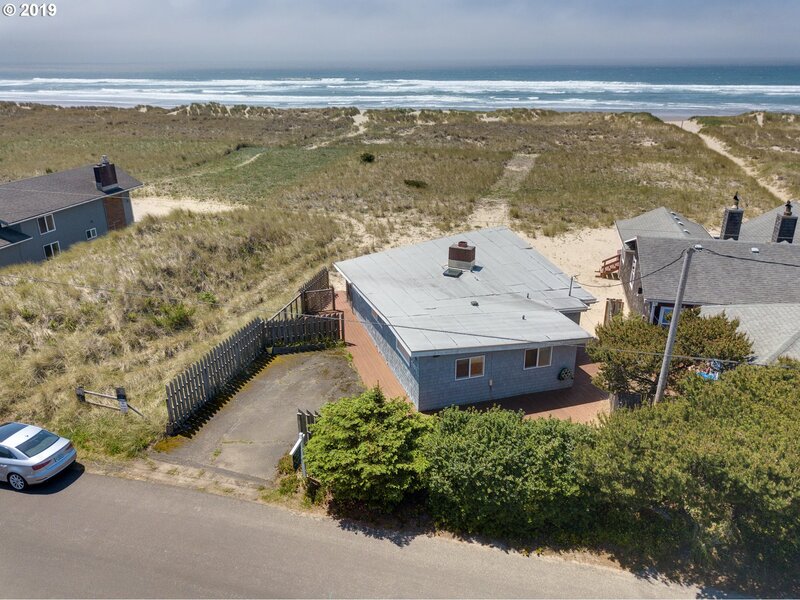 "Located just north of Manzanita in the Neahkahnie area, this 4bd/2bth home is ready to be an income producing vacation rental or your coastal getaway! (NO WAITLIST for rental permit!) Walk to miles of sandy beach or take a short drive up Neahkahnie Mountain and go hiking! Featuring both upstairs and downstairs living areas, a sun porch and a large garage with room to park AND store your beach toys." 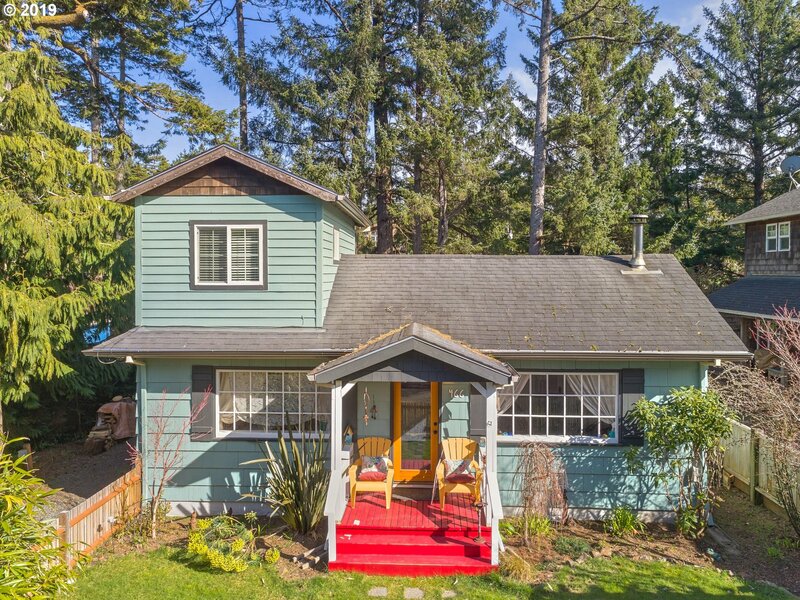 "Neat as a pin, one level living in a lovely, quiet Neahkahnie neighborhood. Excellent location close in to Manzanita village and a nice walk to the sands of Manzanita beach. Great layout, easy care surfaces, nice Neahkahnie Mt. view, cozy propane fireplace, spacious kitchen, generous master with spa tub-- this one really ticks all the boxes and it's move in ready! Don't miss the video." "Upstairs you'll feel like you're in a treehouse, with an open floor plan for the family. Just 2 blocks from the beach, across the street from the state park & bicycle path, this cool-lined contemporary is the perfect canvas for your decorating ideas. The west deck overlooks a wooded wetland garden. High-ceiling double garage offers more options for storing a big truck, boat or perhaps a trailer. Fenced side yard shelters furry friends."